Known as an innovator in New Pulp and Genre Fiction, Pro Se Productions proudly announces the release of the first volume in a new series two years in the making. Want stories that will get your heart racing, your blood pumping? You’ll find them in Bishop and Hancock’s Pulse Fiction Volume One, available now from Pro Se Productions. A two fisted, gun toting Private Eye! A Member of the French Foreign Legion waist deep in Intrigue! A Lady with a taste for Diamonds and Danger! Heroes many have thought lost to yesterday now blast their way into today in Bishop and Hancock’s Pulse Fiction! Pulse Fiction takes the best of the past and shakes and stirs it with today’s finest Genre Fiction writers. Encounter a cast of characters created by Bishop and Hancock and written into four color, over the top life by Eric Beetner, Barry Reese, D. Alan Lewis, Brian Drake, James Hopwood, and Hancock. Just like the bygone magazines of the past, Pulse Fiction brings rich, vibrant characters embroiled in death defying adventure to readers, characters that will return in later volumes crafted by these and a whole myriad of other authors. 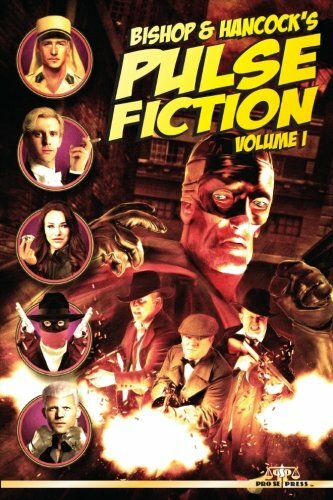 Bishop And Hancock’s Pulse Fiction Volume One is available in print at Amazon and through the Pro Se Store at http://tinyurl.com/n2jyob2 and features a fantastic cover by Jeff Hayes with cover design and print formatting by Percival Constantine for only $12.00. The collection will be available in digital format in the coming days.